It all started 33 years ago, when I asked (well, actually begged) for a Pink & Pretty Barbie. I was three years old and knew exactly what I wanted. My mother had no way of knowing I was not your average fickle little girl. 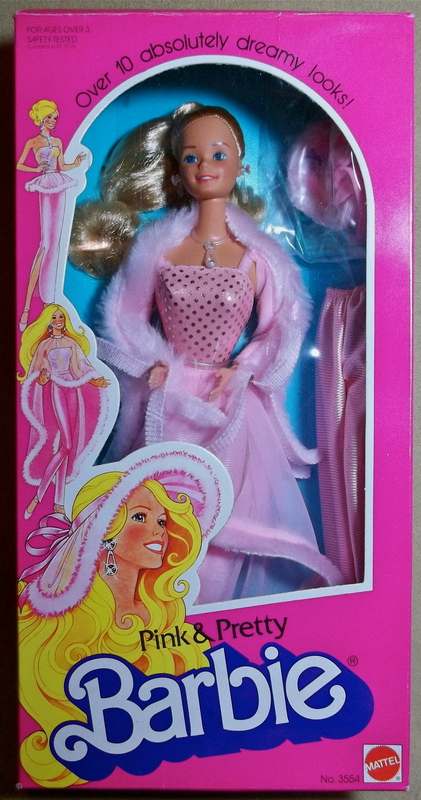 I held true to my heart’s desire and every year around Christmas my desire for a Pink & Pretty Barbie never waned. My undying Christmas wish has even been documented on this blog on multiple occasions, (here, here, and here). Never mind that I’m in my mid-thirties and don’t really play with Barbie dolls anymore. I do, however, collect Barbie dolls, (see The Barbie Shelf) and my collection will never be complete without one Pink & Pretty Barbie. As the years (and years and years …) went by I never gave up hope, even though the situation was looking bleak. Over the last few years, the collector’s market has heavily favored play dolls from the 80s. Dolls like Crystal Barbie and Peaches n’ Cream Barbie started to soar in price as collectors sought to regain childhood memories. Pink & Pretty Barbie fell into the same ranks sending her price through the roof, especially if she was still in her box. She was going for as much as $250. Yikes! I would’ve seriously been mad if my mother or anyone else spent that kind of money on a gift for me. Still, I kept wishing. I had to believe that one day Pink & Pretty Barbie would find her way to me. Somewhere out there she was sitting on a shelf or inside the closet of a person who no longer wanted her. I should mention that this amount of wishing over such a long time takes an extreme amount of faith and persistence. This year, a Christmas present wrapped in pink and white polka dots had my name on it. I wanted it to be her so much, but I was too afraid to dare to believe that Pink & Pretty Barbie could really be inside that polka dot box. I ripped open the paper and found …. My Pink & Pretty Barbie! I’m pretty sure I squealed, jumped up and down, and hugged her. Then, I hugged my mother, who quite possibly gave me the most perfect Christmas gift ever. Aside from the doll itself, the fact that it came from my mother makes it all the more meaningful. She never forgot and had been looking for this doll for as long as I’ve been wishing for her. My Pink & Pretty Barbie is pretty amazing. She’s never been removed from her box. The wire twist-ties and plastic fasteners are still factory mint. The box has one dent and one tear, but is still in pretty great shape – the plastic front is still crystal clear (no yellowing), and the top and bottom flaps stay closed. Not bad for a 33 year old box! However, the best part of the box is that fact that it has an original price sticker of $10.60. I cleared out a space in my curio cabinet where Pink & Pretty Barbie can sit in the front. In many ways, it is surreal that she is sitting on my shelf. Sometimes I touch the box just to make sure she’s real and not just a figment of my imagination. It’s funny how one little thing can mean so much. To most people, she is an old doll that isn’t even that pretty, but to me she is a reflection of my childhood and an incredibly special and thoughtful gift from a mother I love very much. It’s funny how poking around Pinterest can inspire the most unexpected projects. While cruising through the “Everything” category, I saw a pin for a beautiful doll – Lisette from the Barbie Fashion Model Collection. I let out a sigh and smiled. That very doll is in my curio cabinet, tucked away in her box. I haven’t seen her in years. A little spark inside of me was rekindled when I lifted the lid off the long stashed away box. There she was in all her glory. Mint green satin and black velvet with a touch of rhinestone sparkle caught my eye more than ten years ago and it did once again. That little spark lead to pulling all of my dolls out of the cabinet. I just had to see them again and remember what I loved about each and every one. I’ve been collecting Barbie dolls since I was a kid, but in recent years it’s fallen by the wayside. It’s not a cheap hobby (which was a concern) and quite frankly I wasn’t impressed with Mattel’s offerings. I’m a picky collector who likes to be wowed! All of my dolls are just as beautiful as I remember. Although, I pulled out a few that I totally forgot were part of the collection. I have dolls tucked in one cabinet, one shelf, and two closets. Boxes are bound to be hidden and that makes it hard to enjoy the full scope of a collection. The concept of “the forgotten doll” was the inspiration for a little project that kept me busy for days. Never again, did I want to forget what dolls I had, nor did I want to lose out on enjoying their beauty. To solve my “forgotten doll” problem, I turned back to Pinterest. I created a board, The Barbie Shelf, to catalog my collection with the help of the Mattel’s Barbie Collector website. For three days, I pulled out every box from every shelf to say hello and “pin” her to my Barbie Shelf board. 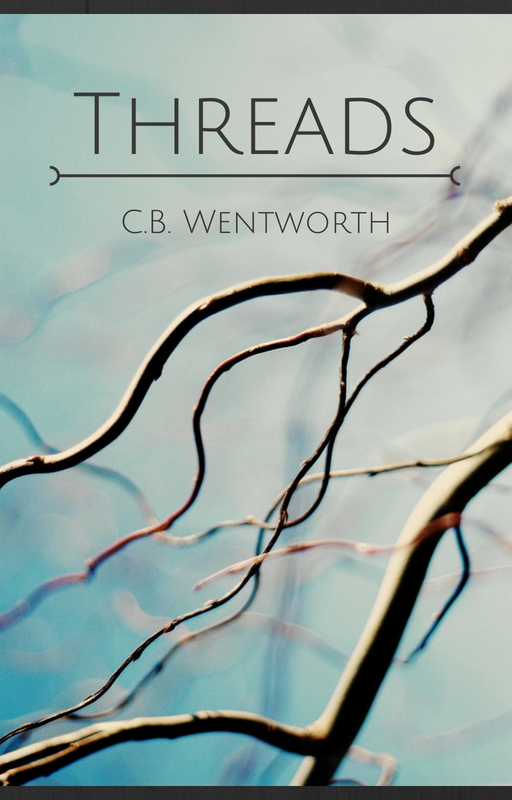 Click image to see the entire collection on Pinterest! Not only was it fun to see all of my dolls again, but each doll has a memory. I remember who gave me certain dolls or I remember where I worked to save up for another. Over 20 years of my life is documented in my Barbie collection. From vintage style to the fashions of the 90s, these dolls represent a history I cherish. Creating a catalog also helped me answer a burning question: How many dolls are in my collection? To my shock, the magic number is 84, (two of the pins are fashion ensembles). At one time, I know I had over a hundred, but the lack of space to store them forced me to purge some of my collection. I don’t have any regrets about the dolls I let go as I know they are in the hands of someone who will love them as much as I did. I kept the ones that meant the most to me and that’s good enough for me! My little jaunt into Barbie heaven inspired me to dig up the dolls I played with as a child. I kept a select few and like the others, I hadn’t seen them in years. I pulled out my old Barbie carrying case and jumped head first into my early childhood. I had so much fun, I decided to create a Pinterest board cataloging those dolls as well, (Barbie Toy Chest). The funny thing is I remember the name of each and every doll, even if the dress is missing. I know them by their hair and face. The memories of playing with them are priceless. Click image to see more dolls. Maybe they were part of your childhood, too! Revisiting so many wonderful memories turned that little spark into a flame. I’m excited about Barbie collecting again and I’m anxious to make new memories. To get started, I created a Barbie Wish List board on Pinterest. I’m combing through the Barbie Collectibles archives to pin images of dolls I’d love to have in my collection. It’s been so fun to revisit dolls I remember wanting 10 years ago and catching up on dolls I’ve missed. To celebrate both the nostalgia of my Barbie Shelf and my newly rekindled excitement, I’ve decided to buy a doll with my next paycheck. I don’t know which one yet, but I know she’ll be gorgeous. And she’ll be the doll I’ll always remember as being the one that reminded me how fun it is to collect Barbie.